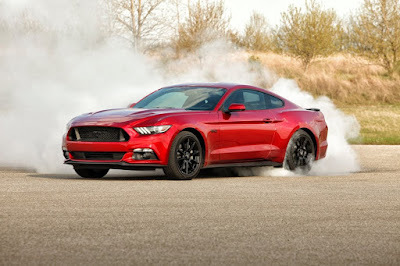 Imagine doing burnouts in an electrified Ford Mustang. Sounds like a fantasy? Not quite. Ford has announced that its iconic pony car is going hybrid. It’s going to be just one of 13 new global electrified (hybrid or pure electric) that the company is planning to launch in the next five years. The move comes as Ford is shifting itself from a traditional automaker into an “auto and mobility company”. With more customers becoming interested in electrified vehicles, Ford sees this as an opportunity to provide more choices that offer greater efficiency, capability, and power. 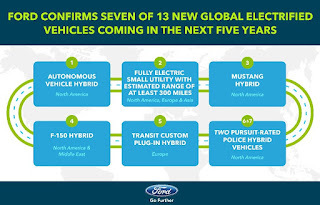 Ford’s electric vehicle plans cover a variety of products all offering a range of at least 300 miles (483 kilometers). It will also encompass the carmaker’s line-up from commercial vehicles, trucks, SUVs, and yes, even performance vehicles. An all-new fully electric small SUV, coming by 2020, engineered to deliver an estimated range of at least 300 miles, to be built at the Flat Rock plant and sold in North America, Europe and Asia (it sounds like the next-generation EcoSport). 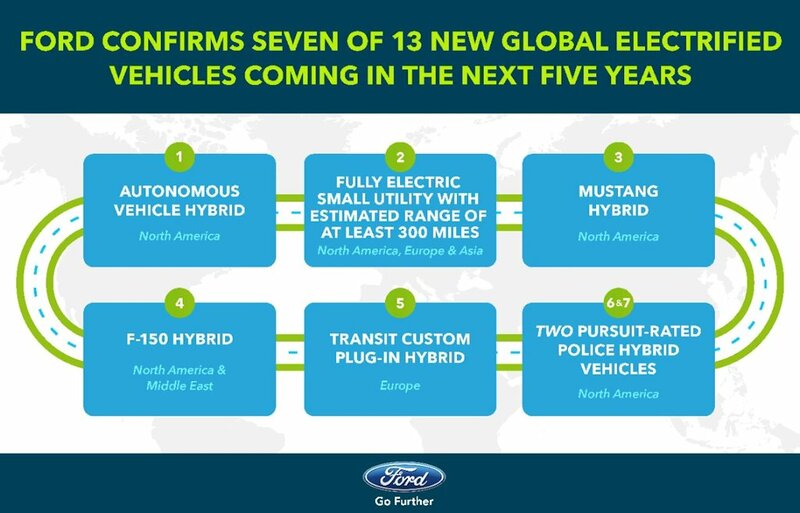 Ford’s global utility vehicle line-up will be the first ones to benefit from electric hybrid technology and to make things more exciting, they will be paired to EcoBoost turbocharged engines rather than naturally-aspirated ones. In order to supply the foreseen demand for these new vehicles, Ford is investing US$ 700 million to expand its Flat Rock Assembly Plant in Michigan. Apart from building the Mustang and Lincoln Continental, it will be home to some autonomous and electric vehicles.